It literally blows me away to think how fast 2011 has gone by. I feel like it was just January and I was writing about how I only had six months until graduation and now I have been graduated for over 6 months! 2011 was an INCREDIBLE year for me both personally and professionally. This year has really made me realize how blessed I really am! I thought I would do a little recap of 2011 and remind you all of how stylish and amazing this year has really been! 1. I started my last first day of college in a new year and did it in style of course... "Stylish First Day Back at School"
2. I was awarded the "Stylish Blogger Award"
3. My dad turned 50 and I stylishly surprised him by flying home to Houston... "Stylish Surprise Visit to Houston"
4. I got an incredible honor to interview 6ShoreRoad's head designer... "Stylish Designer Interview: Pooja Kharbanda and 6Shore Road"
5. I began my FINAL quarter of college, and the stress of college graduation..."Stylish Last Quarter of School: Must Have Items"
6. The Royal Wedding happened and I stayed up all night to watch this incredibly stylish event. "Stylish Royal Wedding"
7. Graduation was a common thing in my family as my younger sister finally graduated from high school "Stylish Weekend Trip Home to Houston"
8. The day finally arrived that I had been waiting for over 3 years, I am officially a college graduate!! "Stylelista Finally Graduates"
9. After a year of secrets and sneak peeks, I officially launched "Live Your Life Stylishly" an online blog-azine..."Live Your Life Stylishly is officially Live"
10. I celebrated a MONUMENTAL birthday in that I finally turned 21 and celebrated in beautiful Los Angeles..."Stylish 21st Birthday"
11. As an official college graduate, I made the move I have been talking about making for years, I finally moved back to LA and began my life as a real adult but not before saying my tearful goodbyes to my Arizona family. "Stylish Goodbyes"
12. I made it through my first week as an LA resident and shared my new exciting life with my readers..."Stylish First Days in Los Angeles"
13. Just as Summer was almost over, I took my very first trip to Vegas as a 21 year to celebrate a dear friend's 21st..."Stylish Vegas Trip Recap"
14. My little sister made the big move to California as well, but to San Diego to start college at San Diego State. I got to visit her the first week she was there and relive college for a few days..."Stylish Labor Day Weekend Recap"
15. Stylelista Confessions turned 2 years old in 2011...."Happy 2nd Birthday Stylelista Confessions"
16. While 2011 has been a year of so many great things, I had to say goodbye to my dog of 15 years, Penny Lane. It was one of the hardest things I have ever dealt with but know that Penny is in such a better place..."A Stylish Goodbye to Penny"
With so many posts on shopping, nail polish, must haves, and so much more 2011 was a year that I will NEVER forget. I am so glad that I have this blog to share my adventures in life on and couldn't be more blessed to have been so incredibly lucky this year. 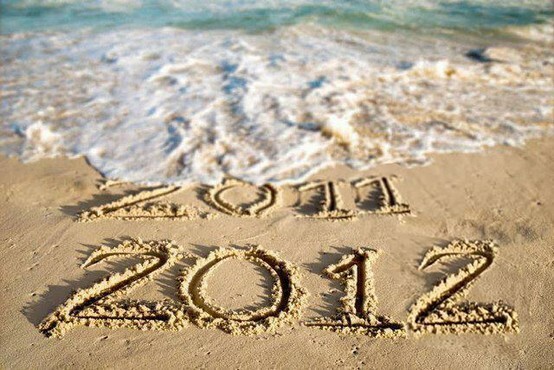 I know 2012 will be another incredible year, and I can't wait to share every minute of it with my amazing readers! I want to thank every one of my readers for being such a supporter of Stylelista Confessions in 2011 and the years to come, I would not be here without you guys!